France has so many options for your destination wedding in France from picturesque chateaus, fairytale castles, snow-capped mountain tops, the French Riviera to romantic Paris. But one of the questions that I get asked most is what are the actual requirements for getting married in France? The requirements as such are quiet simply, but the documentation can be complex. 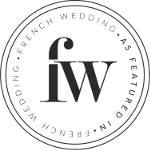 Anne Mulvihill the founder of Fête in France, a bilingual event planning agency and part of Member Association of Bridal Consultants, talks us through the requirements and the options available to couples wanting to plan a destination wedding in france. 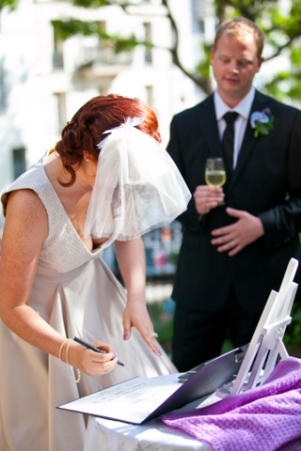 “We at Fête in France often get the question put to us about what are the requirements for a legal wedding in France. The first thing that you need to know is that there is a 40 day residency requirement for a legal wedding for at least one member of the couple immediately preceding the wedding. This means that one member of the couple would need to be able to show proof of residency via a utility bill in your name in addition to the usual documents such as a birth certificate (translated by an approved translator if born outside France) an id (ex. passport, French national id card, drivers license) and a declaration of celibacy which stipulates you are free to wed and over 18. If you are able to supply all the necessary documents couples would then need to wait another few weeks while the local town hall processes the dossier and the marriage bans are published. Yes, the legal bit can be a stumbling block for some people but it shouldn’t discourage couples from getting married in France. The law basically stipulates that you need to be civilly wed before you can have a religious ceremony. Most French couples these days have a civil wedding at their local ‘mairie’ and then a few weeks or even months later they will have a religious ceremony with a traditional wedding reception. Option 1) Have a civil ceremony in your hometown and then come to France for a religious or symbolic blessing ceremony. In the past, I’ve even had couples that have decided to have a secret civil ceremony before they come to France to comply with the law and then they organize a church or symbolic blessing ceremony and party with friends and family. Many couples tend to feel that the ceremony they have in front of the people closest to them is the one that really counts. Brides have requested things like, “if my mother asks, tell her that the French ceremony is the real thing!” Whether couples decide to keep it a secret or not, that is entirely up to them but taking care of legal wedding requirements at home before coming to France is the most common method of working around the legal requirement for marriage in France. 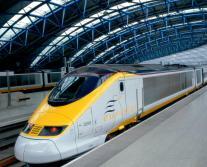 Option 2) The Eurostar has really made travel easy between London and Paris. We have had the adventurous clients who had a legal wedding in the UK in the morning and then with all of their guests hopped on the train to Paris for a wedding reception during the afternoon/evening. 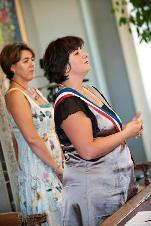 Thank you to Anne and Fête in France for providing some clarity on the French marriage laws. Although based in Paris, Fête in France are available throughout France, whether it’s a party for a few hundred guests at a château in the Loire Valley, an intimate wedding at a charming country house in Provence, an anniversary ski holiday with the family or a corporate event in Paris, Fête in France will custom tailor the festivity for an unforgettable experience. If you have any questions about getting married in France, please feel free to post them below.